More and more businesses are moving their data to the cloud and it is not hard to see why. 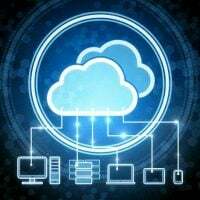 Cloud storage offers a more efficient way of storing files compared to traditional methods and limits the need to spend big money on hardware. At SupportMyMac, we can help you seamlessly transition to new cloud technology. This will benefit you with services like email hosting, web applications and file sharing. 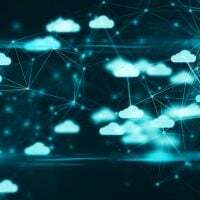 Moving to the cloud lets your organization have easier access to up to date files, allowing you to act faster and smarter, increasing your competitiveness. Your organization can use a monthly subscription-based model to keep your data secure and easily accessible. Our team will help with the set up and management so that your transition to cloud adoption has never been easier. For more information connect with one of our team members by phone or email below. Why should SupportMyMac help you transition to the cloud? Cloud Computing allows for easier collaboration. With all your files located in one place it’s far easier for teams to access and edit documents in real time, and work together on projects despite being in different physical locations. Give your staff the option to work from remote locations and have flexible schedules all while easily accessing company files and data. We can help you save space and costs by reducing the need for physical storage. Cloud based backup and recovery solutions become much easier, with all your files in one secure location. Cloud Computing and Microsoft Office 365? Using cloud technology allows your employees to sign in from any device and all the documents will be accessible in the cloud and ready to go. The days of having to send documents back and forth through email attachments are over. Now you can be confident you are reading and editing the most recent version of the document and there will never be confusion over file content. Does your organization use Quickbooks as your accounting system? Quickbooks can now be on premise or in the cloud. This cloud accounting software allows you to see your organization’s data anytime, right at your fingertips. Access your data securely and have the assurance that it is automatically backed-up. Your bookkeeper, accountant or colleagues can work online simultaneously increasing efficiency and overall productivity.